Having been relatively stagnant in the low to mid-2100 rating range for about a year now, I’ve still been searching for that one breakout tournament result that can give me a decent rating bump. In this tournament, it seemed as if that result was finally within reach…until it wasn’t. The Potomac Open was held in Gaithersburg, MD from the 29th to the 31st of July. I had two weeks prior to the start of the tournament to prepare for the tournament; seeing as the open section was the only one I could play in, there were going to be many higher rated players. At the start of the tournament, I was the third-to-lowest seed – pretty much what I had expected. The last tournament I had played in was the Cherry Blossom Classic way back in May (you can find Isaac’s reflection of his performance here). As a result, I had a desire to do well in this one, especially because there was going to be a string of successive tournaments in August, and having a good performance in this tournament was hopefully going to give me momentum going into the following ones. In the end, I managed to finish with 2.5/5. While this is not a perfect performance by any means, it was certainly inspiring as I knew that I could definitely compete, even in the highest of sections. In the first round, I was paired against a 2413-rated adult. Fortunately for me, I had the white pieces, so I was hoping to salvage something in this round. In order to follow the game and the full annotations, click the link below. For future reference, clicking the game quotation will lead you to the game viewer. Always look at all of the pieces and the whole board. More often than not, knockout blows will come from pieces that haven’t been the center of attention for the last few moves. If you remain too set on using a couple pieces or trying to make a certain plan work, you will miss moves, like I did in this example. Don’t be afraid to repeat moves once (or even twice), since it will gain time on the clock if in an increment time control and possibly give you a psychological advantage, all the while not changing the actual dynamics and ideas of the position. That was the only round on that Friday night, so I went back home and tried not to think about this game too much but rather the future round. The next morning, the pairings revealed I was pitted against David Bennett, a 2250 rated player that had improved enormously over the last year or so in order to reach the level he was at now. The game began as an English; though the middlegame didn’t go quite as planned for me, we went the distance and reached time control. We will join the game from there. What followed was what I believe an instructional endgame where I was able to hold a draw in a pawn-down position. 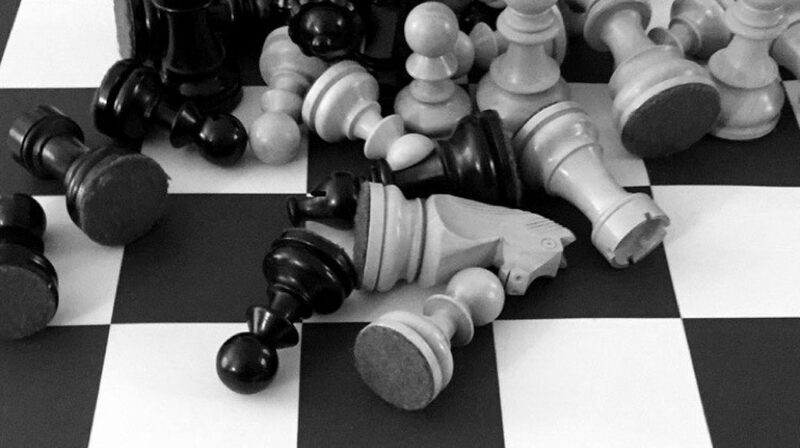 Studying endgames is so crucial to improving your game. If anything, it is more important than learning openings and middlegames. If you can get an advantage early in the game, but you can’t convert it in the endgame, then what’s the point? If there’s still play left in the position, never give up. As we saw in this game, there were multiple points in the game where my opponent could have improved. I made my own share of mistakes, but I just happened to make less, and in the end, that’s what mattered. I was definitely feeling satisfied after that game. Achieving two draws with two higher rated players after two rounds was certainly nothing to complain about. At that point, the main thing I was hoping to do was to build on this early success and hopefully turn it into a great result. In the third round, I was pitted against a 2261 rated friend around the same age of me. I will admit, I did have luck on my side on this game. In the game, my opponent blundered a tactic, and luckily, I was able to capitalize. Let’s see if you can do the same! Figure 1: Kobla – Xu – Position after 24. … c4?? Once you think you have fully solved the puzzle, click here to see the solution. With that tactic, I was able to start the tournament with 2/3; in my mind, that is more than I could have ever hoped for in the open section! With that day being a successful one, I went to sleep that night feeling really confident. However, as the saying goes, you can’t win ‘em all. In the fourth round, I was paired against another friend of mine, rated 2239. Unfortunately, in this game, I was not so lucky. After forgetting my opening prep, I was thoroughly dismantled in this game. The one thing I learned from this game was to repeatedly go through opening prep, as you never know when you’ll need it. This was the last thing I was hoping for after my early success, but it was enough to derail any chances to jump in rating. But still, the tournament was not over. With one round left to go, I just had to make the most of what I had left in the tank. In the fifth and final round, I was paired against an equal. With both of us being tired after a long couple days and tournament, we agreed to a draw not too long into the round. Though I finished half a point shy of winning money, I still gained a decent 17 points in rating. Overall, this tournament was a success, and it proved I was certainly moving in the right direction. Although the end of the tournament (read: fourth round game) was a valley relative to the mountains around it, I still learned something from that, so that’s another thing. There’s always something to learn from your mistakes! All in all, I hope you learned something from my experience in this year’s Potomac Open, and can apply them in your own games. As always, thanks for taking the time to read through this, and see you later!